10 The Boulevard Skygate, Brisbane Airport. 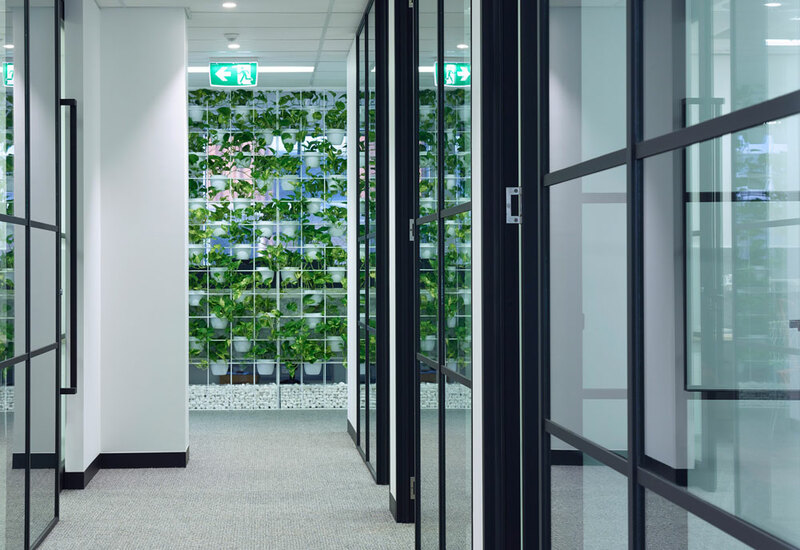 Quadric was engaged by Project Control Group (PCG) to deliver the site establishment partitions, ceilings, joinery, doors, glazing, tiling and painting package of Hanson Construction Materials new 3000m2 purpose-built office and laboratory facility on The Boulevard and Circuit, Skygate, Brisbane Airport. The PCG design concept drew inspiration directly from Hanson’s business and product lines. The concrete making process involves mixing cement and aggregates with water and allowing the mixture to harden. Similarly, the Hanson design revolves around the idea of melding. 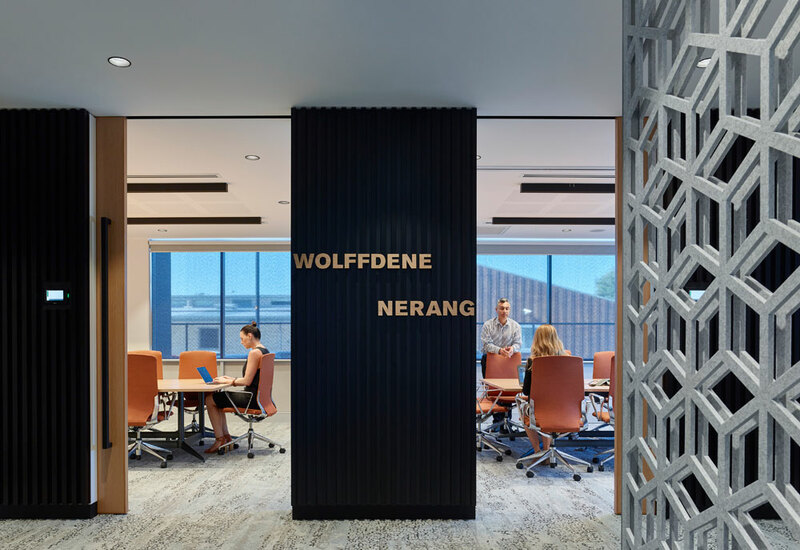 The blending of spaces and elements, enabling the Hanson Brisbane workplace to become one community. 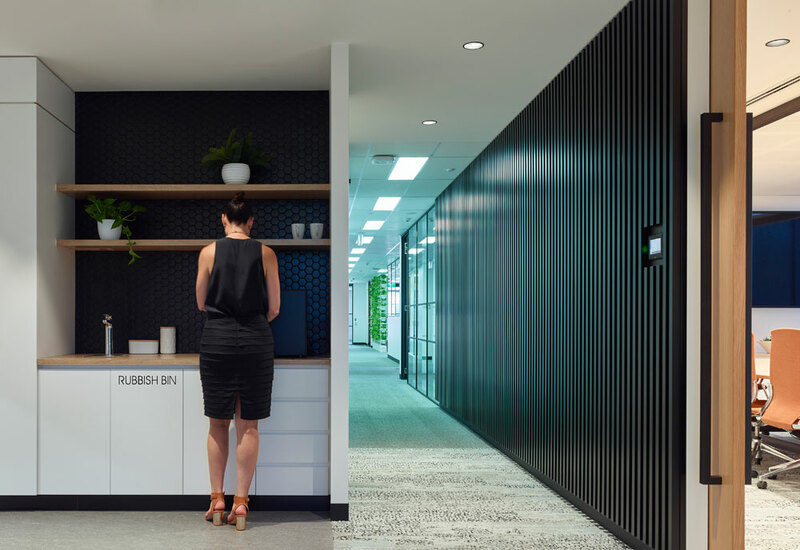 Drawing on the strategy of bringing two distinct business units together, the lab (raw and industrial) and corporate services (more refined), the finishes and materials selection was a blend and reflective of the two differing business units. Showroom – Used to display the Hanson ‘Imagecrete’ product range. Moving away from a traditional showroom feel. 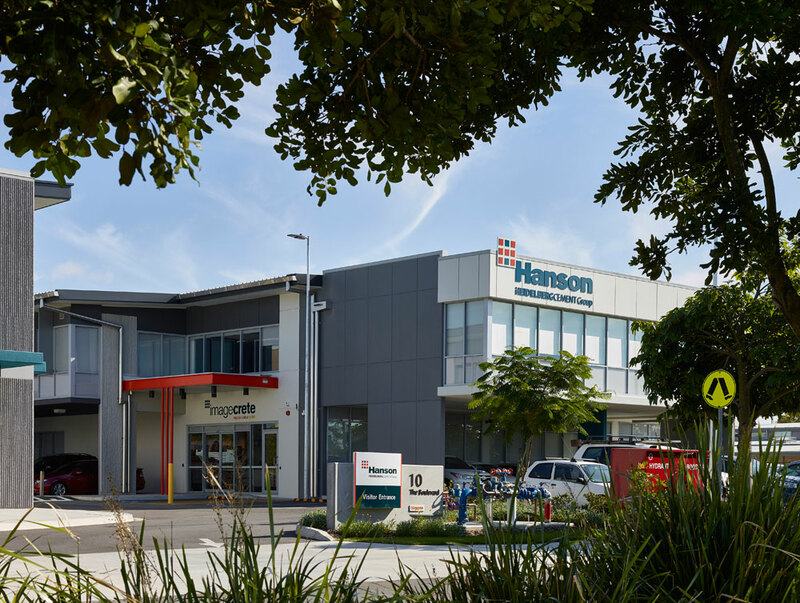 Instead the area was designed to reflect a home aesthetic and highlight the Hanson product range. Large amounts of greenery were incorporated as well as furniture, more commonly seen in living areas of the home allowing clients to see the product in a ‘real’ setting. 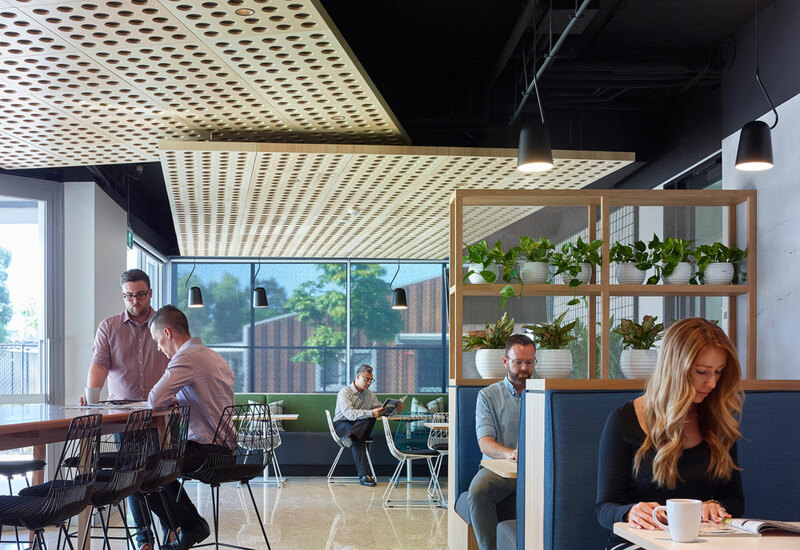 The Café / Staff Breakout Area – Any organisation that has a “no lunch at your desk” policy requires a great breakout area to allow staff to use the facilities and relax in comfort. 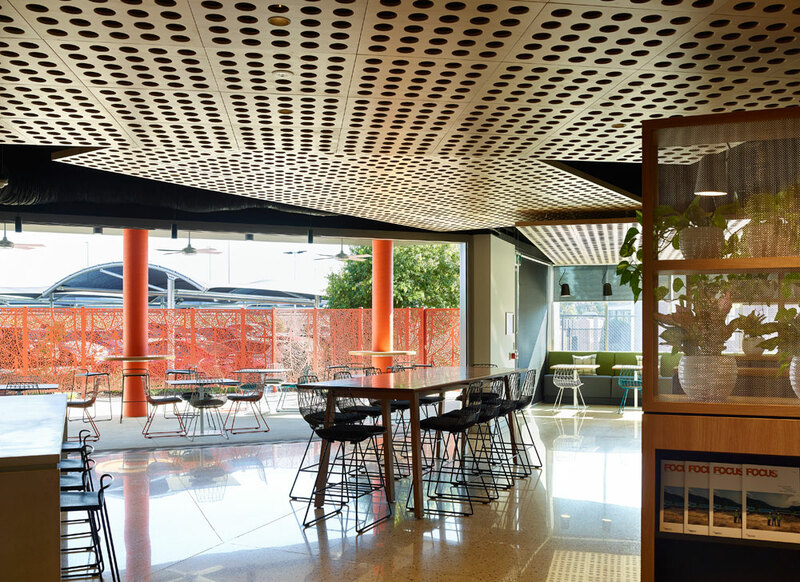 With a lot of buzz, colour, a variety of seating, a casual layout and lots of greenery, a “Neighbourhood café” with a community vibe was created. 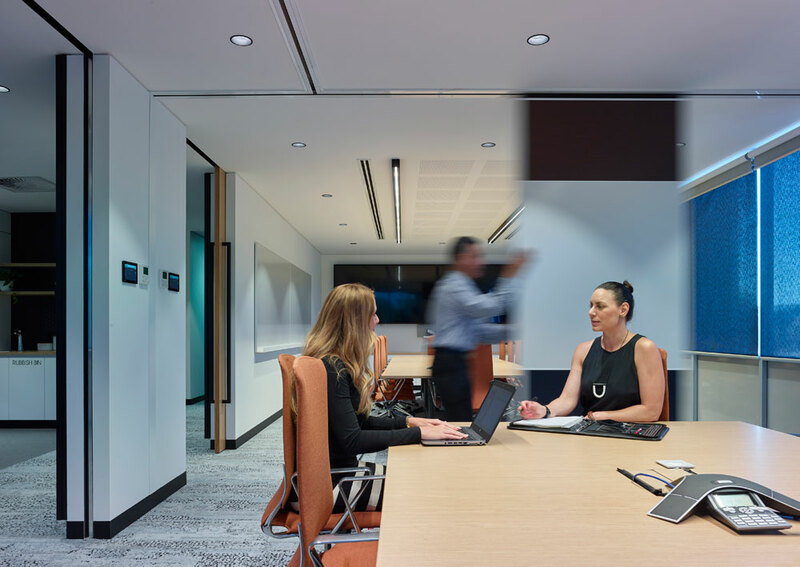 The National Technical Centre (NTC) – the new Skygate Laboratory includes an extended mezzanine level which accommodates the combined teams of technical managers. Collaboration and multipurpose meeting areas were incorporated to encourage knowledge sharing and innovation. 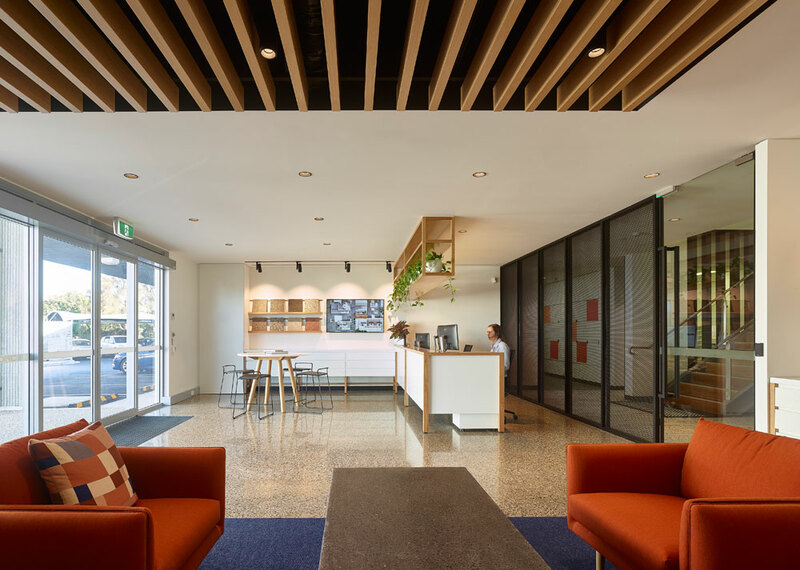 PCG’s role of Designer & Construction Manager and Quadric’s role to construct & manufacture the built elements were yet again a good match with this being the most recent job in a long list of signature projects we have completed together.